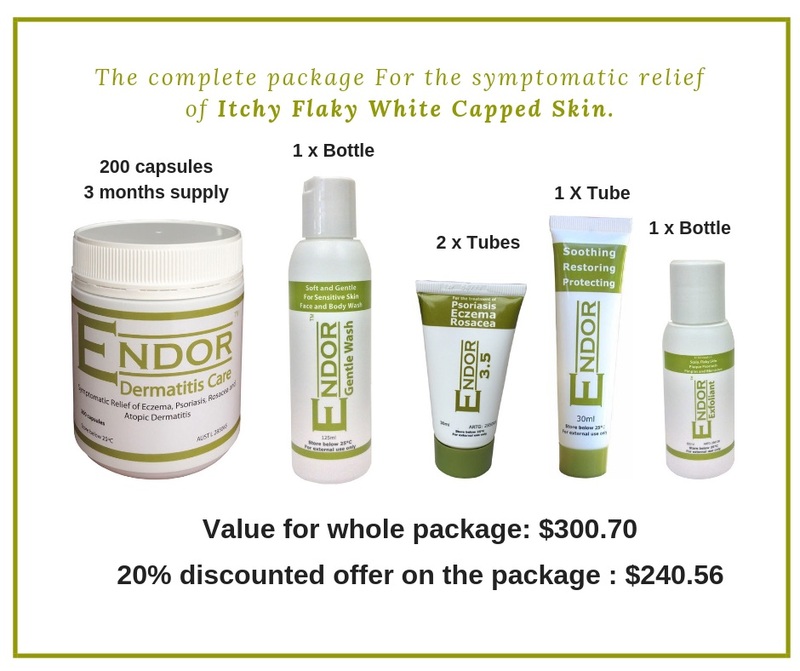 You will receive 20% discount on each package and any additional purchase at the same time. 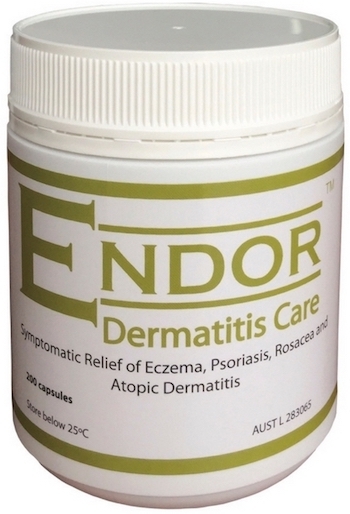 Capsules for the symptomatic relief of Eczema, Flaky, White Capped Hardened Skin, Rosacea and Atopic Dermatitis. 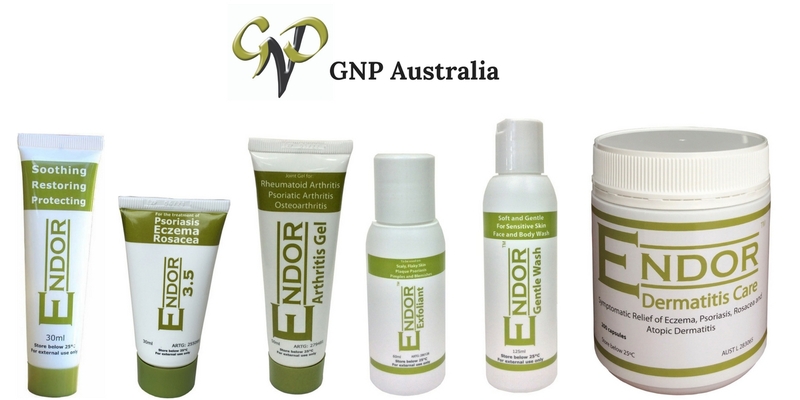 For the symptomatic relief of Severe to Moderate Eczema, Flaky, White Capped Hardened Skin & Rosacea.AUD$44.95 each. Always read the label, follow the directions for use. If symptoms persist, talk to your healthcare professional. 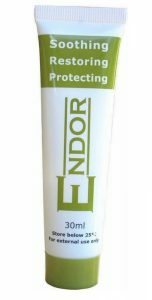 ENDOR Exfoliant is a Gentle exfoliation, that removes scaly, flaky skin. 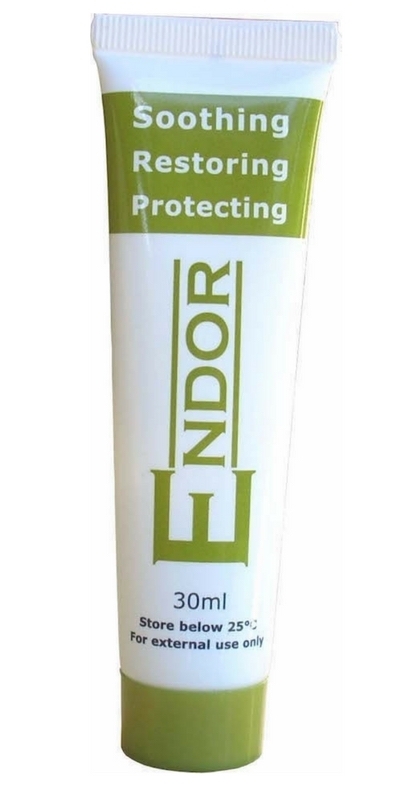 You can use ENDOR Exfoliant for general exfoliation and we highly recommend it to be used in conjunction with ENDOR 3.5 cream and ENDOR Dermatitis Capsules, for Flaky, White Capped Hardened Skin, Eczema with scaly flaky skin and other conditions with hardened skin. For the symptomatic relief of Mild to Moderate Eczema, Flaky, White Capped Hardened Skin & Rosacea. Our price is $28.95. 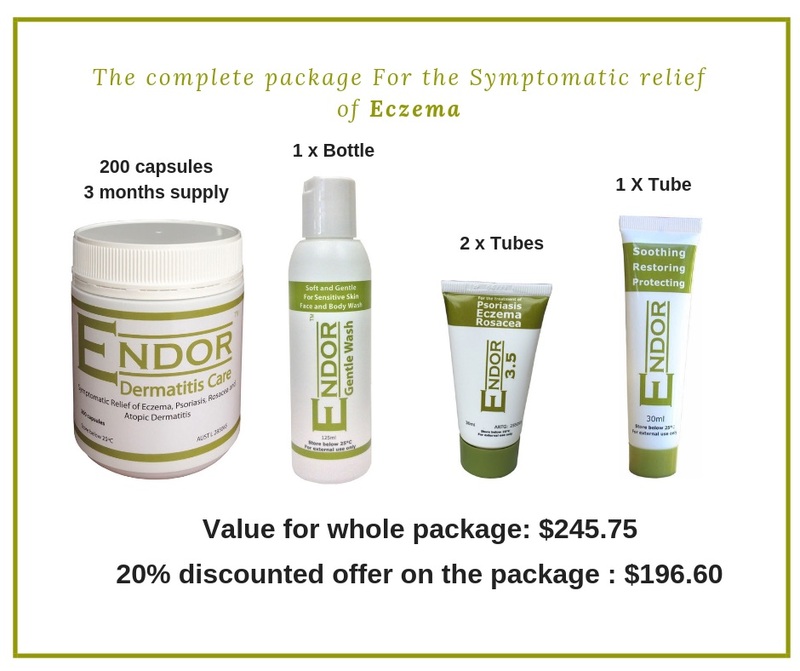 We have a special offer running right now. 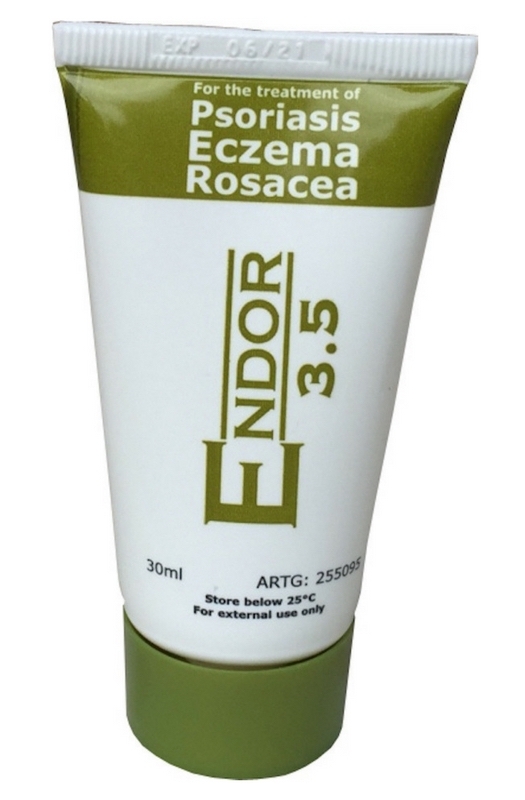 Buy two ENDOR creams and get the third ENDOR cream free. 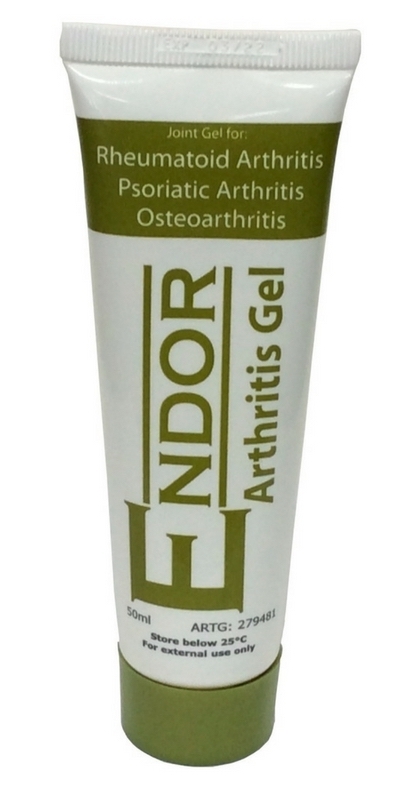 For the symptomatic relief of Mild Arthritis, Stiff Joints & Inflamed Muscular Aches and Pain. 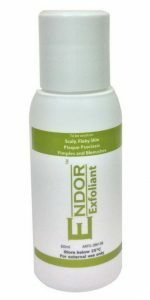 We are extending our 60% discount to all of our customers. 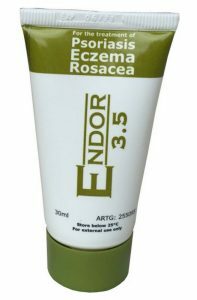 Face and Body wash for sensitive skin, including those suffering from Rosacea and Eczema. Overseas customers. Please note that the Postage Tariff listed here is for parcels weighing up to 500g. 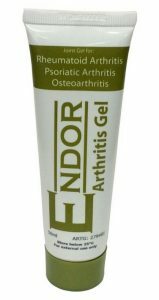 The following is the weight of each of our products. Please allow 50g for packaging.